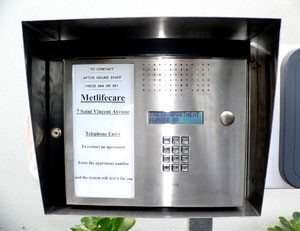 Audio and video intercoms are used to allow visitors through electronically locked gates or doors. If the operator is satisfied that the request to enter is bona fide, they then press a button on the master handset which releases the electronic lock on the door or gate and allows entry. We supply and install the range of Intercoms (both audio and visual) and the Kantech telephone entry system - which is excellent for gated communities. We install the Telstrom IP slender phone and the Protégé IP entry solutions. Gates can be opened with remotes, keypads, or cards as required. Our systems are constructed using high quality components which do not deteriorate over time and have a modern polished design. If your premises require entry intercom systems, get in touch now to book a free consultation.